If you’re looking to regain control of your weight and reset your body’s set point, it’s important that a medical professional be there to guide you through your path to success. When it comes to weight loss management, our weight loss center experts are here to make your weight loss journey a breeze. From your initial consultation to your goal, you can expect to have a solid support system throughout your wellness journey at Dr. Urshan Health and Weight Loss Center. We have worked with hundreds of patients to achieve their unique health and wellness goals and can do the same for you. No matter what experiences you may have had in the past with diet pills and supplements, you can look forward to success with Dr. Urshan’s transformative weight loss technology. As with any regimen, healthy weight loss requires consistency. Using Dr. Urshan’s innovative technology, however, your body’s natural set weight will be restored** for ideal fat loss without the traditional calorie restraints or structured physical activity. With our weight loss program, your body will feel satiated after the necessary calories are met for your metabolic rate. 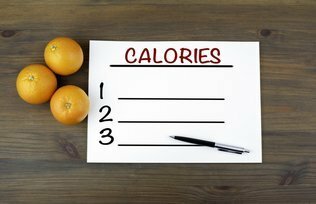 Simply put, you’ll naturally consume less calories once your body’s systems are reset to their natural state. Whether you’re looking to slim down for a special occasion or simply improve your personal health, our unique weight loss program is proven to reset and recharge your body’s natural desire to metabolize carbohydrates and fats with ease**. Contact our wellness experts today to schedule your initial consultation with the Dr. Urshan team. Our centrally-located weight loss management center allows us to serve those in Brandon, Citrus Park, Oldsmar, Safety Harbor, Palm Harbor and the surrounding areas.